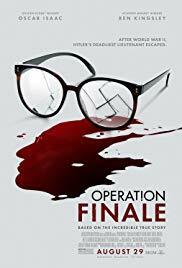 Home›Movie Reviews›Operation Finale - The True Story of Hunting Down a Surviving Nazi Leader! Operation Finale is directed by Chris Weitz. The film stars Ben Kingsley and Oscar Isaac. Following the defeat of Germany in World War II in 1945, many surviving Nazis fled to Argentina. The highest ranking survivor was Adolf Eichmann, considered to be the “architect” responsible for Jews being loaded onto trains for the concentration camps where many of them met their end. In 1960, a strike team from Israel hatches a plot to invade Argentina to capture Eichmann and return him to Israel where he’ll stand trial for his war crimes. But with the Argentinian Independence Day celebration going on and other unexpected hurdles, our heroes must find creative ways to extract Eichmann without being discovered. Like other films based on historical events, the end credits of Operation Finale claim that some events were changed for dramatic purposes and that some composite characters were created to represent the events in question. I personally can’t speak for how historically accurate Operation Finale is, but it’s a damn good thriller with a gripping plot and two fantastic leading men, even with a dragged out run time and underdeveloped supporting cast weigh it down. Oscar Isaac (Poe Dameron from the newer Star Wars films) starts as Peter Malkin, the man in charge of the team responsible for Eichmann’s extraction from Argentina. Isaac plays a relatable but flawed protagonist, made all the more human by the fact that he’s made mistakes in the past and doesn’t have the immediate support of his team. He has a tragic past in losing someone he cared about in the Holocaust, yet still brings a wry sense of humor to the forefront of the film on more than one occasion. The other leading man is the legendary Ben Kingsley as Adolf Eichmann. Seriously, does the guy ever NOT give a great performance? His portrayal of Eichmann is one of the best things about the film, and the chemistry between him and Isaac’s Peter make for the movie’s best scenes. Living in Argentina under an assumed name, Kingsley’s Eichmann is the villain you love to hate. Smug, egotistical, and claiming he wanted to “help” the Jews (while the film shows footage of him being responsible for the slaughter of many of them), it’s a slimy portrayal which gives the true story its necessary villain. That a man who committed such atrocities can keep such a cool head despite his past is astonishing, and no one could’ve brought this infamous person to life like Kingsley. The atmosphere of the film is equally impressive, recreating the past in period-appropriate clothing and locales. Alexandre Desplat’s score even has motifs which feel like something ripped out of a 1960s espionage thriller, which further lends a hand to the “period feel.” The look and feel of a historical drama is one of its most important elements, and I’m happy to announce Operation Finale certainly doesn’t disappoint in this regard. Unfortunately, it’s not quite a perfect film. Isaac and Kingsley are the starts of the show, and all other characters/character arcs/subplots outside of them don’t really go anywhere or feel too well developed. One of the more interesting potential subplots revolves a girl who befriends Eichmann’s son but has a falling out with him, and it turns out she’s a spy who’s intel is instrumental in locating the Nazi. How did she come to be in the service of our heroes? Sadly, she’s mostly cast aside in the latter half of the film, and many other smaller plot elements like this end up wrongly neglected. The other issue the movie has is with its pacing. At roughly an even two hours, it’s simply too long, with some repetitive scenes and portions which drag. A good 15 minutes of editing and removal of certain characters/subplots would’ve made for a more streamlined and effective thriller, though this is by no means a weak film. Operation Finale isn’t a perfect movie, but the gripping true story and performances from Isaac and Kingsley make it worth heading to the theaters to see. Definitely recommended! DISCLAIMER: All images in the review are the property of their respective owners, including Automatik Entertainment, Metro-Goldwyn-Mayer, and Annapurna Pictures. For promotional use only. All rights reserved. 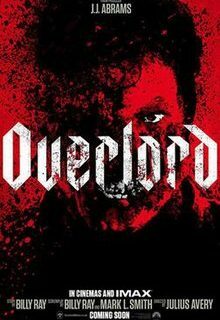 Overlord - Nazi Zombies and Plenty of Gore! Accept - First Four Albums, Reissued and Remastered! 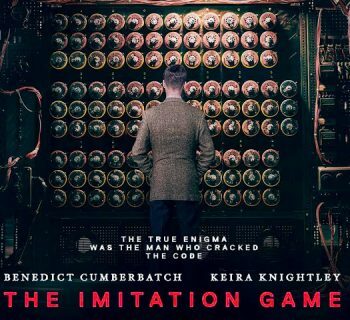 The Imitation Game - The Alan Turing Story! Sweet and Lynch Return With Unified! Velvet Crush - Jim Crean's Latest Solo Album is an Impressive 80s Rock Throwback Experience!